On average, reports AAA, 422 teens are killed during each summer month, a significant bump compared to the average of 363 teens killed during the non-summer months. This is likely due largely to the fact that, in the absence of school, teens have more time to drive around town, and are more likely to chauffer other teens as passengers, which greatly increases the likelihood of distractions and accidents. Even among teens who have avoided accidents, the chances are that they have come close, according to new data from Liberty Mutual Insurance and Students Against Destructive Decisions, which found that 68 percent of teens admit to narrowly avoiding crashes in the last year. Although most teens blamed the other driver for these near-collisions, 30 percent admitted they were speeding, 21 percent said they were texting, and 20 percent said they were talking to other passengers at the time of the incident. This is not to say that parents have no hope when it comes to dangerous teen driving during the summer and year round. 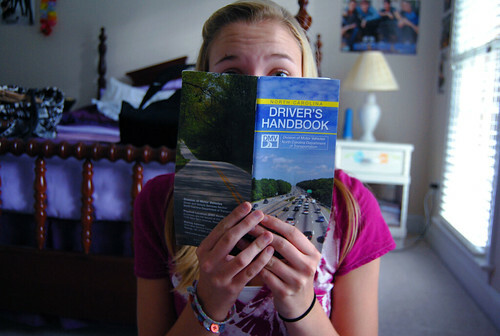 In fact, all parents should consider drafting a parent-teen safe driving contract with their teen driver. The contract should set guidelines against distracted driving, speeding, and other dangerous activities, and guarantee rewards if the teen fulfills his or her promises. If the teen breaks the contract, on the other hand, parents can take away certain driving privileges in order to promote safe behavior in the future. The warning about dangerous months for teen drivers may serve as a damper on the prospect of summer fun. But if safety awareness can reduce car accidents and prevent fatal teen accidents, it’s well worth it. So take the time this summer to talk to your teen driver about the dangers of driving distracted or being reckless behind the wheel.